Spring is here so it’s time to liven up and shed that winter layer! I have just completed my annual ‘spring clean’ which you can find in my top selling guide to healthy eating and wellness Eat Yourself Healthy In 28 Days. My detox is NOT all about starving yourself or eating bird seed! 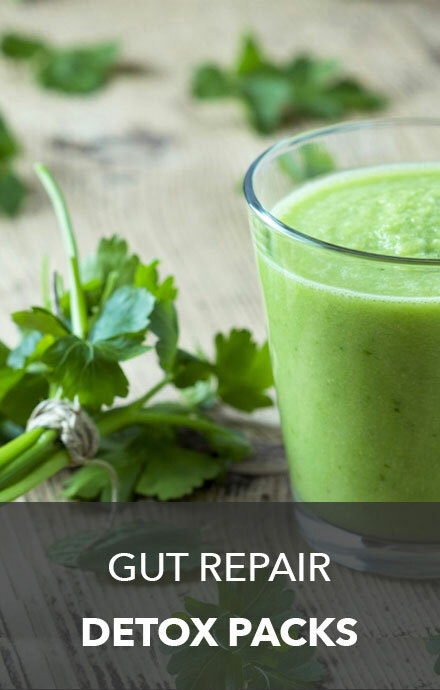 Check out the recipes on my blog and Face Book page & you will see detoxing can be about eating delicious healthy food while you lose weight and end bloating, flatulence and that tired worn out complexion! To Register for this fantastic giveaway, complete the steps above and email your name and address to linden@sallyjoseph.com.au by September 30th 2012. Complete entry steps 1 & 2 & the first 50 people will win a free pack of chia seed bran from our friends at THE CHIA CO to keep your digestion regular! Complete all 4 steps and gain entry to win the detox pack and free consultation with me valued at $500. By entering into this competition you agree to the following terms and conditions. This offer is available to Australian residents only. To qualify for entry to win the detox pack and consultation with Nutritionist Sally Joseph, you must purchase a copy of her e-book Eat Yourself Healthy In 28 Days by the 30th of September 2012. 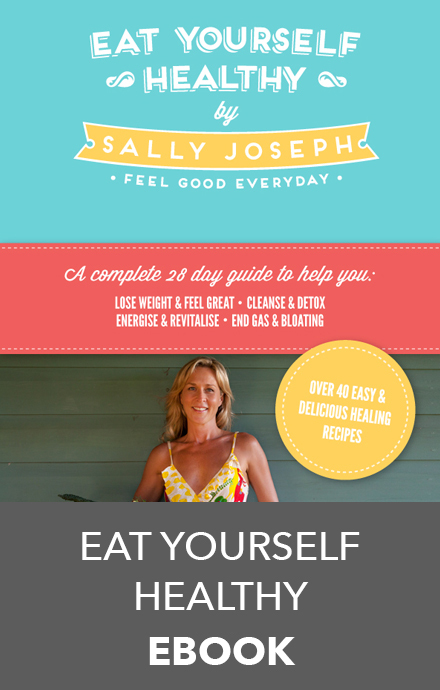 If you do not have a twitter or facebook account you can still qualify to enter the competition by purchasing a copy of Eat Yourself Healthy In 28 Days and subscribing to Sally Joseph’s blog by midnight, September 30, 2012. The winner of the detox pack and consultation will be announced via http://www.eatyourselfhealthy.com/ twitter and face book on the the 3rd October 2012. The consultation with Sally Joseph will be scheduled by appointment only, at the first available date and time – consultation wait times can take up to 21 days. 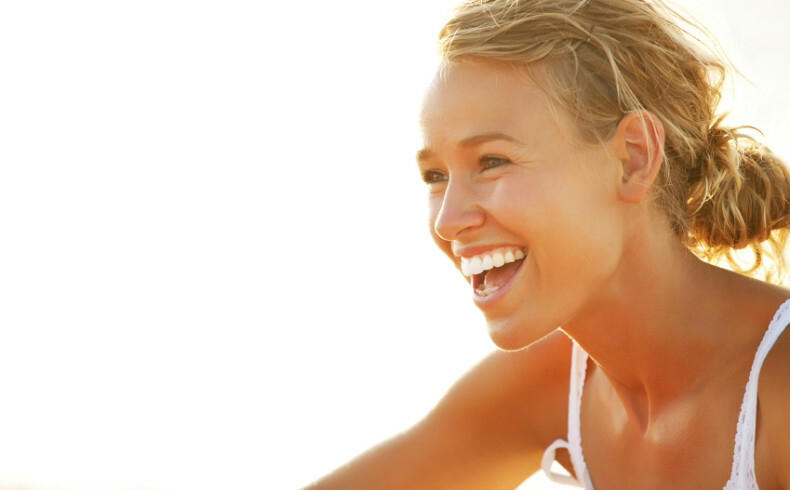 The consultation prize is for one initial consultation lasting up tom 90 minutes and does not include any recommended pathology tests or supplements, other than the ones in the’ Complete Body Overhaul’ detox pack. The detox pack will be sent via courier to your nominated address within 5 business days of the competition winner being announced. Qualifiers of The Chia Co chia seed bran will receive their free pack via Australia post. www.sallyjoseph.com.au cannot be held responsible for Australia Post’s failure to deliver this product to your nominated address. This offer cannot be exchanged for any other offer or for cash. The winner of the detox pack agrees to complete the personal medical case history form – sent via email from sally@sallyjoseph.com.au before this product can be dispatched. Sally Joseph reserves the right to change the competition dates and terms and conditions at any stage without notice. * This promotion is not endorsed, sponsored, administered or associated with Facebook and all details entered are sent to the promoter, not Facebook. Where have the results of the competition been posted? I can’t seem to find them on the blog page. Need to loose weight and eat better will check out your site daily.